Video of the New Year’s Mascletà 2009 in Valencia »« 2008 – What a Year! According to Levante, the New Year’s mascletà is going to be the biggest of the entire year, including those of Fallas. Deafening, pointless noise fireworks! I love it. 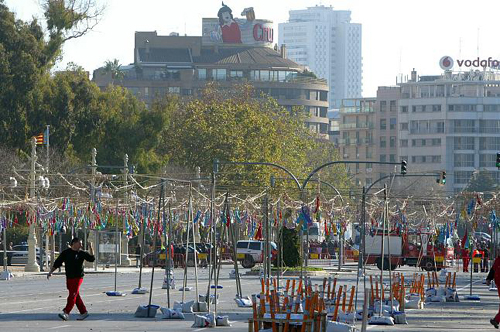 This mascletà will be taking place at 2pm in the Paseo de la Alameda (the huge boulevard on the northern side of the Turia riverbed), rather than the Ayuntamiento. Be there! You can always count on the Valencians to find an excuse for fireworks. Love it.